The Queen told me recently that I really must stop name-dropping. She didn’t really. 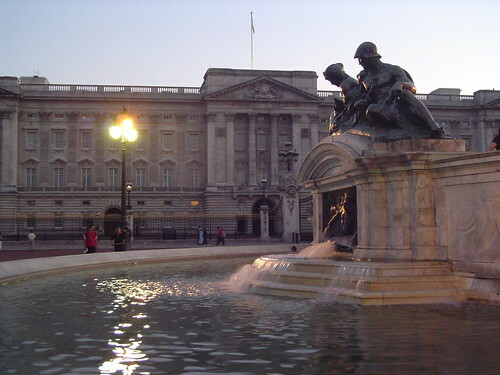 In fact, she wasn’t even at home when I visited Buckingham Palace. You’ll have to forgive me, reader, because it’s going to be difficult to get through this post without dropping the odd clanger. Then again, if you can’t do that on your own blog, then where can you? I was invited, along with a couple of hundred others, to be hosted by HRH Prince Andrew, who was being especially positive about all things technological and entrepreneurial. Perhaps surprisingly, Her Majesty’s household served up some rather tasty white wine from, wait for it, Waitrose, and we were treated to those funny little baguette-shaped crisps in small bowls. Writing about the event afterwards, the Financial Times mentioned my attendance, describing me as a Professional Networker. My parents will be so proud. One confession from the evening is that I wished I’d brought my Speed-Networking whistle. I know, I know. I’m beginning to sound like Keith Harris with Orville. To the man with a hammer, everything looks like a nail. And to the bloke with a whistle, everything looks like a potential speednetworking event. I just long to get people mixed up a bit. Yes, I had some lovely conversations, including one with David Willetts, who took rather a shine to Tenner. Wouldn’t it be fun though, in one of the best known palaces in the world, playing the grown-up equivalent of musical chairs? I think that the Duke of York would have loved it. Regular readers will know that I have a slightly mad idea for the Monarchy up my sleeve anyway. 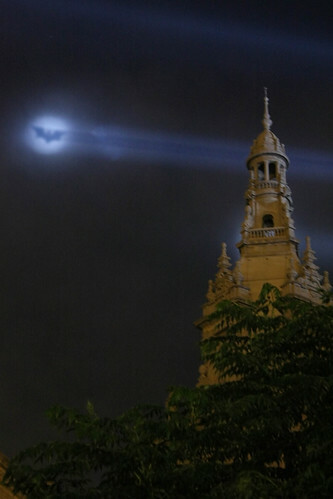 I want to hoist a Batman-Signal onto the top of Buckingham Palace to summon MBEs, OBEs and others in times of national crisis. More practically, I’d run a networking session at Honours events, after the cup of tea and cake, where guests would be introduced to each other, and welcomed into a new network. These networks would be encouraged to meet locally on a regular basis, socially and to make a difference. Aside from the Batman Signal, I don’t think it’s so crazy. My whistle-finger began to twitch again last week. Standing in the London Transport Museum, I’d been invited to celebrate the Evening Standard’s One Thousand Most Influential Londoners. Before you ask, yes, that was another clanger and no, I was not listed between six and eight thousand. Technically, the party lasted from seven until nine in the evening, so by just gone nine o’clock I thought it was probably time to go. Weaving his way across the Covent Garden Piazza was a slightly dishevelled latecomer to the party. As he began attaching his bike to the museum’s railings, I greeted the Mayor of London with a wave, as he disappeared into the embers of the evening. Yes, gazing round that mega-party (and it was a great bash), I did yearn to get them mixing more vigorously with each other. They would probably have hated it, wouldn’t they? Do you think that in centuries gone by, the people of Florence or Athens were better connected than we are today? By better connected, I don’t mean Blackberried-Up. I mean the tailor with the poet, the astronomer with the architect. I sometimes worry that they may have been. The Standard splits its list into sections (I’m in Digital – stop sniggering at the back), however (in the words of editor Geordie Greig), lots of people defy being pigeon- holed. I want to live in a city where the actress knows the bishop. I bet she does (if you know what I mean). But I’d like to see more of it. A final Royal encounter last week at the annual awards for the Prince of Wales’s Youth Business International. In a time of financial doom and gloom and endless negative publicity for young people, these were more breath of fresh air than cloud of smog. Like the Shell LIVEwire award earlier in the week, they rang out a positive signal and cheered all of the guests up no end. In some ways, it’s not as bad as “Professional Networker”. Is it? At least it beats being Pigeon-Holed.